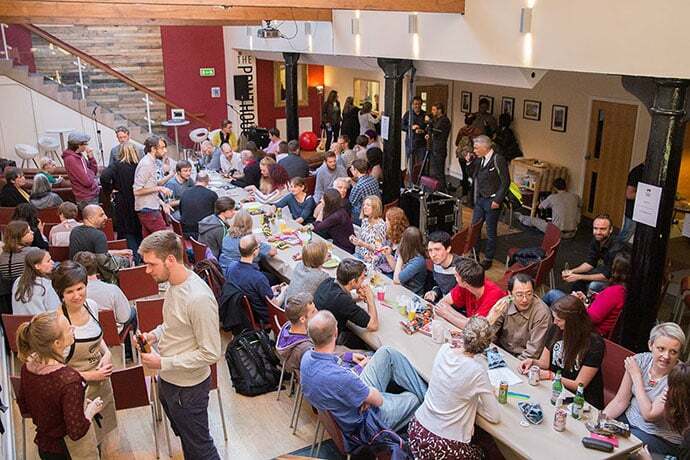 The first ever Sheffield Soup launched at the end of July, inciting community change and awarding one social enterprise the prize fund of £540, all in the space of an evening. 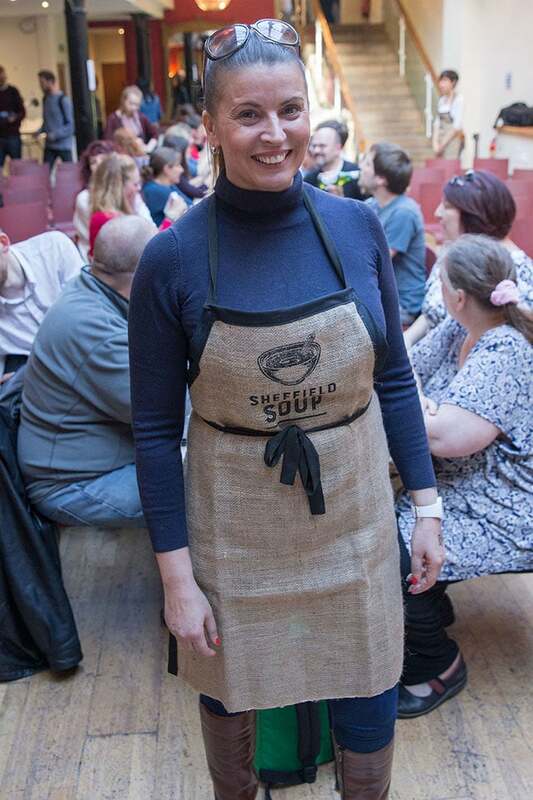 Sheff Soup is about offering support to local people and businesses that can make a real difference in the community, both through financial means and networking opportunities. Exposed popped along to the first event to find out about how it works. 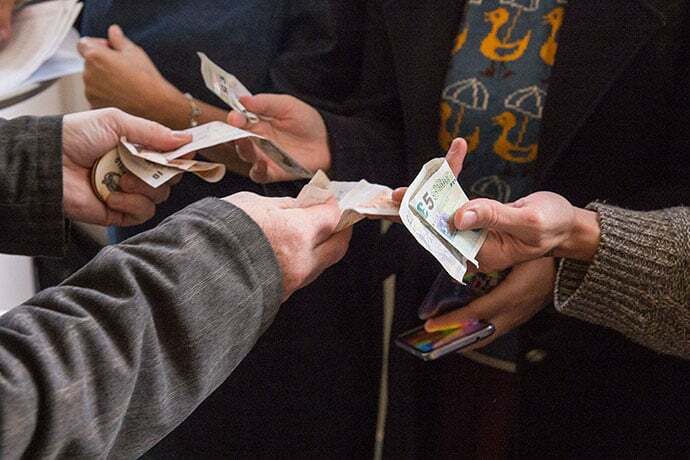 First of all, when you turn up to a Soup event you donate £5 on the door in return for a voting chip, which you use to vote for one of the four pitches on the evening. You also get a cup of delicious soup thrown in, which was cooked up by Head Chef Lee Mangles from Silversmith’s restaurant. The pitches come thick and fast; four ideas in just four minutes each – following by four Q&As. It’s a simple process that invites the audience to sit up and listen. First up we had the Real Junk Food Project Sheffield, which is about taking waste food from shops, restaurants, suppliers and events, and turning them into meals for the community. You can then enjoy on a ‘pay as you feel’ basis. The project needs funds for a van to transport the produce and eventually hope to have a permanent café somewhere. Next was Over-Hear, an app-based company that brings live music to the masses. Showing where events are, how far away and with real-time updates and clash finders, it’s an app designed for music lovers. Over-Hear also have plans to put on free gigs of their own, making use of empty spaces like shops, offices and industrial units, and re-purposing them for one-off events. The third pitch was the PiKon telescope – an astro-cam which uses 3D printed components and a raspberry Pi camera to capture astronomical images. 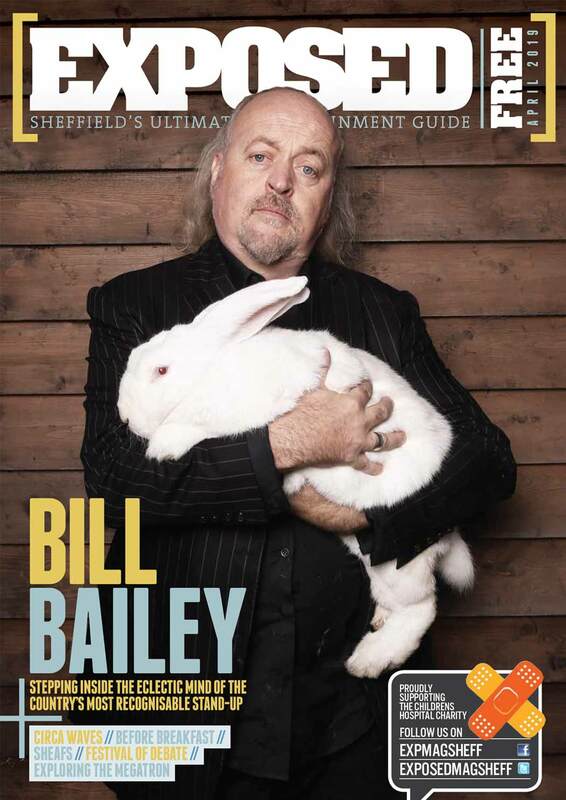 Since delivering the first one at Sheffield University’s Festival of the Mind, they have received a massive response from people who want to build one. They need funding to design and source kits to be able to do this. Last up was Fun With Fitness, a programme of events aimed to encourage those with disabilities or mobility issues to get fit – in the least conventional ways possible. Think archery, space hoppers, limbo, javelin, frisbee gold, donkey derby, aerobics and more! Ran by trained carers in three hour sessions, Fun With Fitness are looking for a permanent location for the winter months. So what was the verdict? With the prize money amounting up to £540 from on the door donations, the stakes were high and the votes were close. After a stunning acoustic performance from newly signed The Clear, the winner of the prize fund was The Real Junk Food Project Sheffield, to much appreciation. 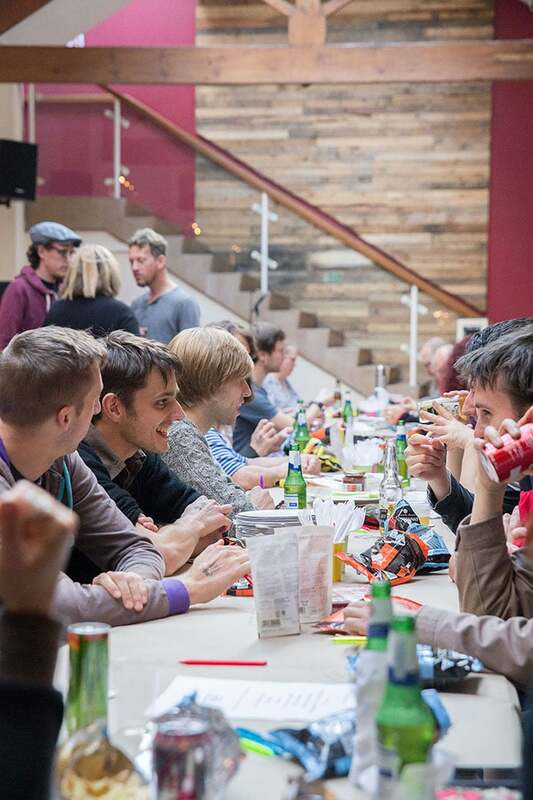 The next Sheffield Soup will be on September 23rd at The Printhouse. Applications to pitch will open on August 1; if you would like to pitch your idea, email pennie@sheffieldsoup.com and head to facebook.com/SheffieldSoup and @SheffSoup on Twitter for more info.